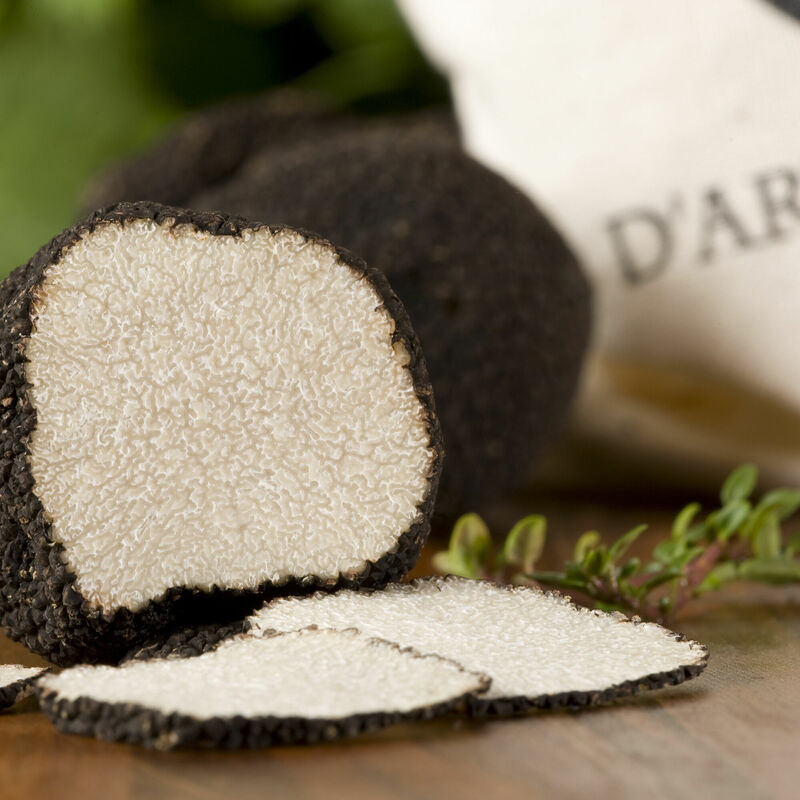 The summer truffle looks similar to a winter black truffle but is not as intensely perfumed. With prominent black scales and a firm, white-veined beige flesh, summer truffles have a delicate flavor and a slightly nutty aroma with notes of hazelnut and fresh earth. Plucked from European markets at the height of their freshness, our truffles are immediately shipped stateside for your enjoyment. Storing/Serving Tips: Once a fresh truffle is out of the ground, it doesn't keep long. To best preserve your truffle, wrap it in a paper towel, put in an airtight plastic container and set in the refrigerator. Do not clean the truffle until you are ready to use it. To clean it, gently remove any dirt that remains with a soft brush, then use the tip of a paring knife to loosen any pockets of dirt in the crevices, then lightly brush again. Enhance the flavor of simply-seasoned grilled steaks by finishing them with a pat of butter topped with some freshly shaved summer truffle. Or shave fresh summer truffles over your favorite cream sauce and ravioli or risotto. Roast a whole rabbit or chicken, drizzle it with summer truffle sauce and serve with caramelized endives. Try serving whipped potatoes finished with a sprinkling of truffles, or our truffle butter and oil folded into mashed potatoes.